These heavy duty monsters can clamp anywhere up and down the post (no unreliable thumbscrews). 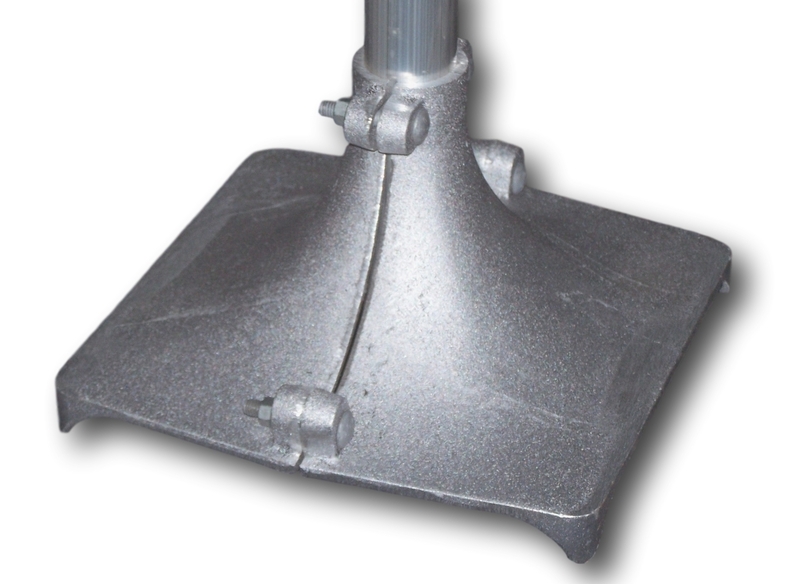 It can be used in serious muck or as a base for our lightweight trusses allowing them to stand up in the water for easy platform installation. These plates fit 2 inch O.D. posts only. These are very strong bottom plates. I used these on a soft muck bottom to keep the pole from sinking. On one of them the corner hit a rock and that is the only part touching anything solid. Even with significant weight applied it has still held up. These are cast and have 4 bolt points. The only thing I could find locally that was close to this size had a cheap thumb screw and thin metal.